Delta is the largest wetland in Catalonia and is becoming a huge triangle almost an island surrounded by water and linked to the mainland by what was the former coastline.A place where the barries between heaven and earth, earth and water, freash or salt water, farmland or native vegetation confuse. Wednesday to Friday from 10am to 14pm. Saturdays and Sundays from 10am to 18pm. Located in the Tancada lagoon, in an area remarkable for its wealth of wildlife, MónNatura Delta de l’Ebre lets you discover this rich natural environment. The salt, the birds, and the traditional fishing methods are the three key features of MónNatura Delta de l’Ebre, and they can all be seen in this complex of spaces which together show both the Delta’s worth and its uniqueness. 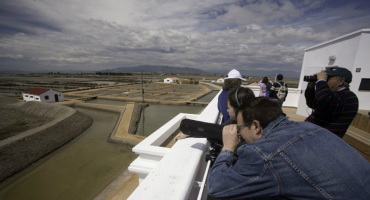 The salt pans: Visit the only fullscale recreation of one of the Delta’s salt pans which is open to the public. Delta space: Discover the essence of the Delta on a unique journey which shows how the Delta was formed over the centuries, and experience the changing seasons throughout a year. 360˚ Lookout tower: Enjoy wonderful Views, you can see the different habitats typical of the Delta: the lagoon, salt pans, saltflats, beach, etc. 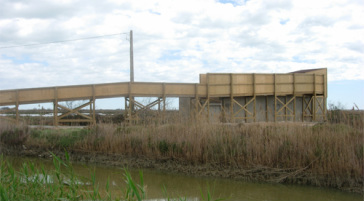 Spanish toothcarp territory: You can visit one of the Delta’s main populations of Spanish toothcarp, a small fish which is now in danger of becoming extinct. Landing stage: You can see examples of traditional Delta fishing techniques. Punting zone: You can go aboard the punts, the traditional means of transport in shallow water. Monday to Saturday from 10:00 to 14:00 and 15:00 to 18:00. 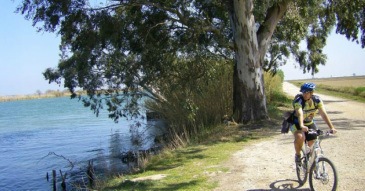 Sundays and holidays from 10:00 to 14:00 h.
The Eco Natural Park of the Ebro Delta was opened in October 1988. Its main function is to introduce newcomers to the peculiar world of Delta, especially in the functioning of natural and human aspects of his ecosystem. 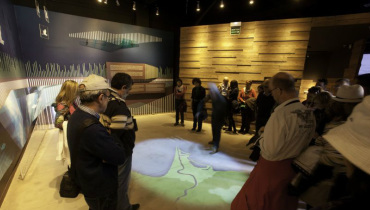 The Ecomuseum also has a magnificent aquarium where you can see the main species of fish and amphibians present Delta. 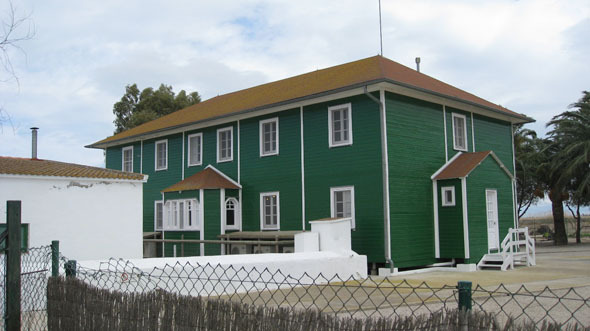 The Wooden House is one of the most emblematic buildings of the Ebro Delta was built in the late 20's of last century by a group of hunters who settled in the Ebro Delta attracted by the number and variety of birds that housed the area. 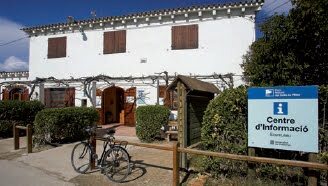 It has now been enabled to receive the Information Centre of the Natural Park of the Ebro Delta, where the recommended routes, leading spaces and activities that can be performed in the area. 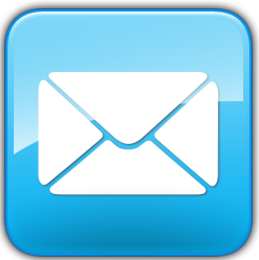 It also has many publications and materials of interest to the visitor. In a country as flat as the Delta, being able to rise a few feet from the ground, can display a large section of the horizon. Therefore viewpoints Park has become one of the most popular and infrastructure used by visitors. Majority and strategically placed around ponds can discover and admire the high natural values ​​of these rich, yet fragile protected areas.